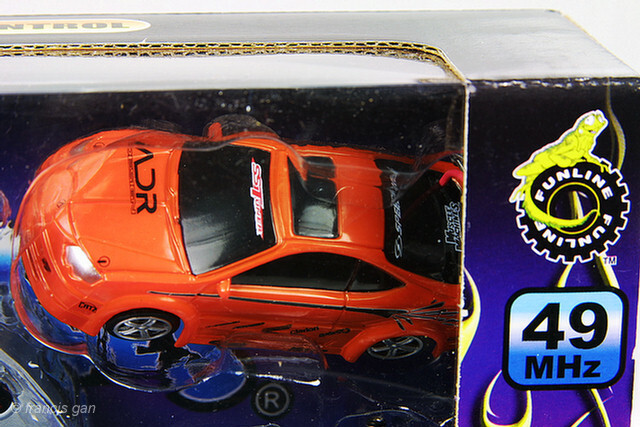 Towards the end of 2003, Funline introduced an RC line of their 1:64 cars - with surprising detail for an RC car. 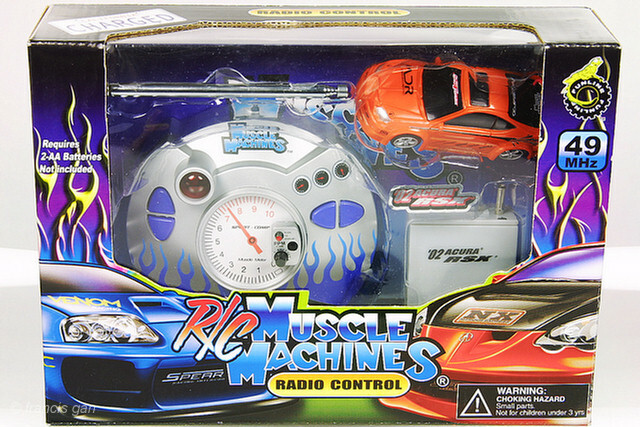 The RC aspects of the car are similar to the Zip Zaps concept - using a 9V battery to charge capacitors in the car that will keep it running for about 2-3 minutes based on a 45 second charge. The battery box is used to charge the car. The same battery box is then inserted into the controller to power the controller. 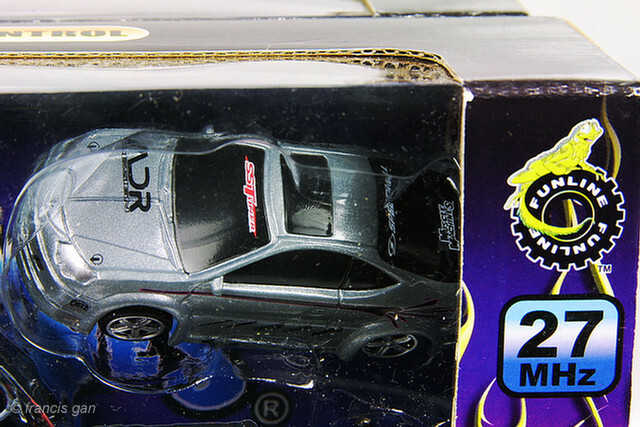 This series of Acura RSX's were available in various frequency combinations. 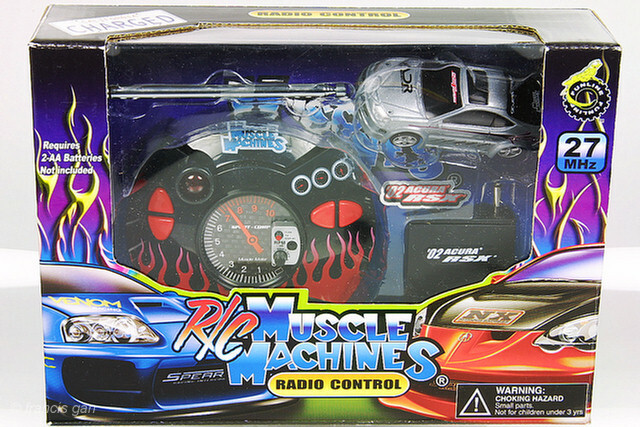 The color of the controller and the color of the car antennas helping to differentiate the frequencies (either 27 or 45 Mhz). The cars came in black, red, grey, orange and green.